This Elvis Presley Serving Dish Guitar Set includes 3 pieces. 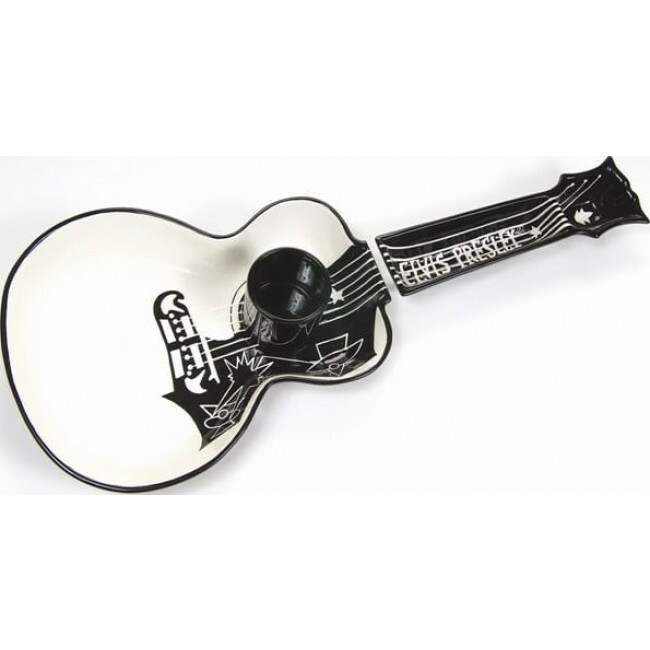 Any Elvis fan will want to decorate their home with this serving dish in the shape of a guitar. The body of the guitar measues 14" x 10.5", the handle measures 12" long, and the cup measures 3"W x 3"H. Made of ceramic.